Shayna Billups left Tommy Ruzzo and Seatown, Florida in smoking ruins before escaping to New Orleans. She's slinging rum drinks at a pirate-themed dive bar when a treasure map grabs her attention. All alone and thirsting for adventure, Shayna follows the clues to North Carolina where she assembles a band of drug-dealing pirates to wage war on a murderous mayor and his blood-thirsty biker gang. As the bodies pile up, Shayna wonders if Ruzzo will find her before she ends up in Davy Jones' Locker. S.W. Lauden's short fiction has been published by Out of the Gutter, Criminal Element, Dark Corners, Dead Guns Magazine, Gutter Books, Down & Out Books, Short Stack Books, Akashic Books, WeirdBook, Spelk Fiction, Shotgun Honey and Crimespree Magazine. His debut novel, BAD CITIZEN CORPORATION (Greg Salem, book 1), is available now from Rare Bird Books. The second Greg Salem novel, GRIZZLY SEASON (Greg Salem, book 2), was published in Oct. 2016. 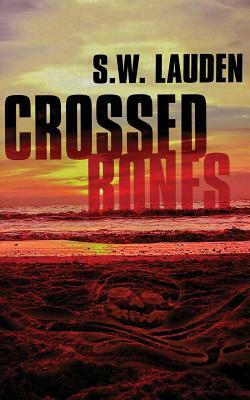 His standalone novella, CROSSWISE, is available now from Down & Out Books.